As dedicated sevaks (servitors), whether your beneficiaries thank you or traduce you, gladly perform your allotted tasks. For, you are serving yourselves, not them, remember! Bouquets or brickbats, receive them with equal calm. It is only those who identify themselves with the body, that exult or feel pained! Remember, you are the Dehi (Indweller), not the deha(body) – this will give you strength to serve well. While doing Seva do not argue that this particular task is yours and that is not; do not be sticklers for boundaries and limits. Support and complement each other in joyful co-operation. 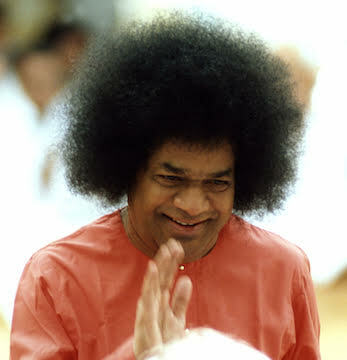 Act as ideal satsanga(noble company), infusing energy and enthusiasm to all. Also, do not carry a greater burden than that is allotted to you and do not interfere with what other people are doing, or criticise others. Malice, envy or competition must have no place in your heart. Do not rush about discovering faults where none exists. That is misdirected enthusiasm. Instead, spread peace and joy! Previous Article Say it with a Post Card ….” Post Crossing ” is the way !